The debate over encryption is making headlines in nations around the world. At Crypto Summit 2.0, we buckled down and started working toward solutions together. 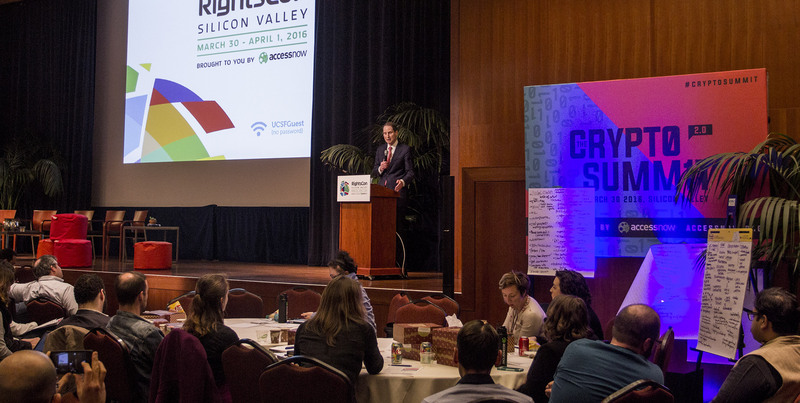 Crypto Summit 2.0 took place in March 2016 in conjunction with RightsCon, Access Now’s annual conference that explores the intersection of human rights and technology. At the Crypto Summit 2.0, We asked participants to begin to address four policy questions that were identified in the first Crypto Summit. After collecting inputs from the working groups and remote participants, we compiled a outcomes report for each track. Below you can find all of the four reports. 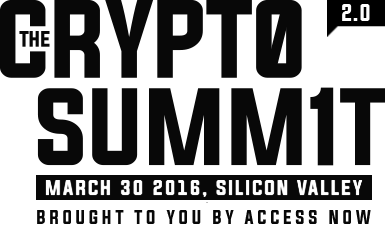 Crypto Summit 1.0 focused on the history of the debates over encryption, the different types of encryption tools and technologies, the legal fight over the use of encryption, and the benefits and challenges posed by encryption. Taking all the key questions identified in the Crypto Summit 1.0, we worked on four policy tracks and set out to begin tackling these deeper questions in the Crypto Summit 2.0. With the release of the outcome reports of the four tracks, we hope that other interested organizations will review these documents and advance them. In each track, we have suggested where further work is necessary. We at Access Now look forward to continuing to work with civil society groups to fight for both strong security and protection of human rights. Right now, law enforcement and intelligence agencies around the world are mining data, re-routing internet traffic, and hacking into devices and systems, sometimes on a mass scale. While these tactics may present an alternative to undermining encryption, they each come with their own costs, including serious costs to human rights. Discussants in this track will explore without prejudice the rumored, public, or potential methods and tools that are available to government surveillance agencies; where and how they are explicitly authorized; their costs and benefits; and high-level safeguards that need to be in place if they are carried out. When laws require that companies change their way of doing business in order to facilitate surveillance, it often adds economic, reputation, and legal costs. These costs include the cost of building new or different infrastructure, or restructuring supply or service chains for different jurisdictions around the world; the costs of defending a company against questionable court orders or fighting gag orders and other restrictions on transparency; and the more amorphous costs of violating human rights, deteriorating user trust, and losing business as a result. Discussants in this track will attempt to explore these costs and discuss means and methods for measuring their impact on end users. Some justify invasive surveillance techniques and authorities by pointing to terrorist attacks, injuries, and deaths. However, encryption also saves lives. This side of the scale, favoring robustly secured networks, is not well defined. This track will explore the benefits -- including the return on investment -- of encryption and try to formulate a means to quantify and measure those benefits. Encryption is well known as the best and most reliable (though not completely reliable) way of protecting sensitive data. However, too few companies are using it, and they are implementing it only sporadically, and sometimes in outdated forms. This track will explore why that is, and what the best ways may be to overcome the barriers and move toward a future where encryption, particularly for our most sensitive data, is ubiquitous.